Thank you to Colorado Homes and Lifestyle for including Sophie and Kingston Lacy in the Bath Finds feature of the April 2014 issue. To connect with Colorado Homes and Lifestyle on Facebook, click here and follow @co_homesmag on Twitter. 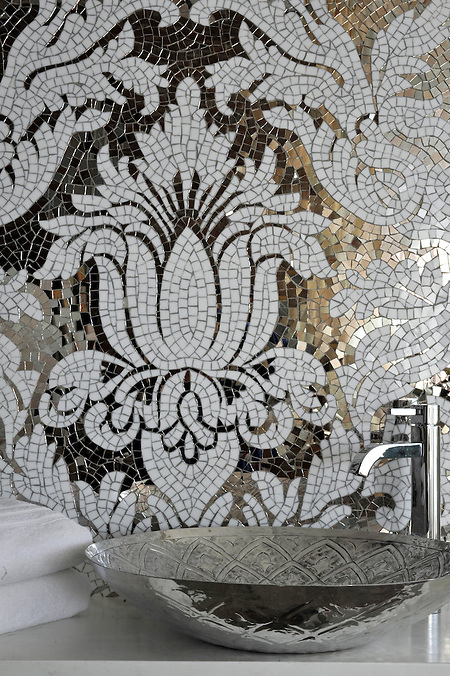 honed Thassos,is part of the Silk Road Collection by Sara Baldwin for New Ravenna Mosaics. is part of the Synergy Collection and is designed by Rogers & Goffigon for New Ravenna Mosaics. 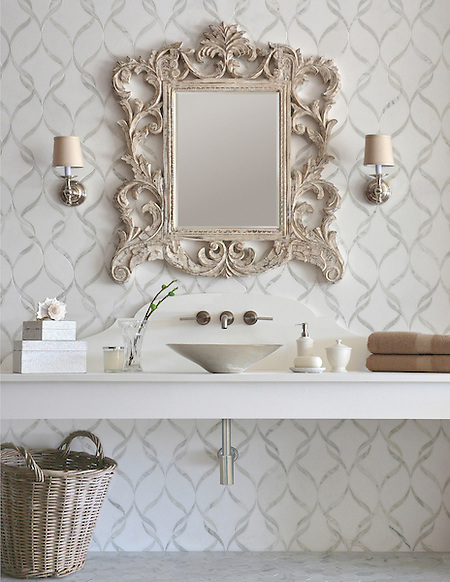 Click here to see more of the Silk Road Collection and here to see more of Kingston Lacy. I really think the Victoria Albrit tub is extremely small as well as the sink bowl. Is it for smaller people or…?